Ladakh – the lands where heaven seems to meet earth. The land where the lakes appear to be dyed in blue and the mountains coated with a dash of red. Ancient monasteries stand on rocky outcrops, their echoes reverberating in the thin air. However, Ladakh is also home to various communities and cultures. This interesting diversity is in full display during festivals, with each festival marked by cultural processions, ceremonies, traditional dance and music, and most exciting of all, their masked dances. What all these festivals share in common, however, is the celebratory approach towards life. This blog tells you the 10 festivals in Ladakh that celebrate life in the valley. Losar is one of the most popular festivals in Ladakh. Celebrated to mark the onset of the New Year, it’s marked by various kinds of cultural events, rituals and exciting performances. The celebrations here are marked by the lightning of the holy fire, chanting of mantras and donning of colorful robes. Key attractions: The highlights of this festivals are the stage fights between the god and the evil, as well as the Ibex deer dance. Sindhu Darshan, also known as Guru Purnima, is one of the most colorful festivals of Ladakh. This festival seeks to commemorate the Indus River, as it’s commonly believed by the locals that this river plays a crucial role in creating bonds of love and friendship between the various cultural groups and communities in India. 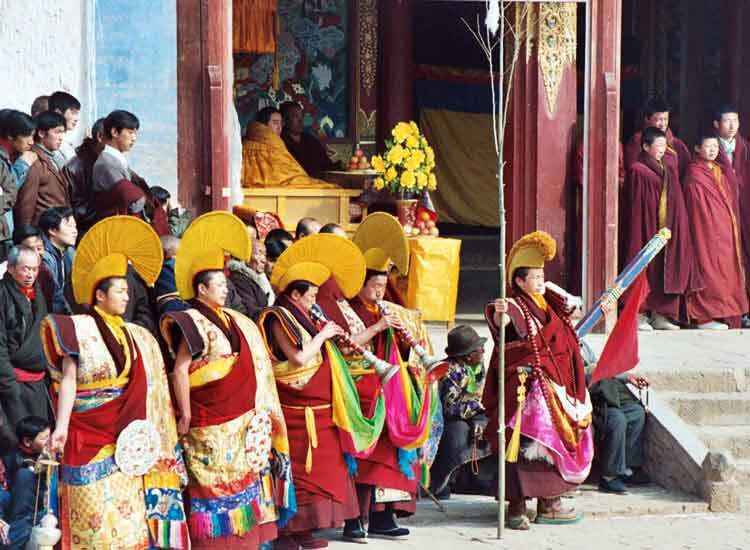 Key attractions: The key attractions of this occasion are the chanting of hymns and Buddhist prayers by the Lamas as well as the performance of cultural programs by eminent artists. 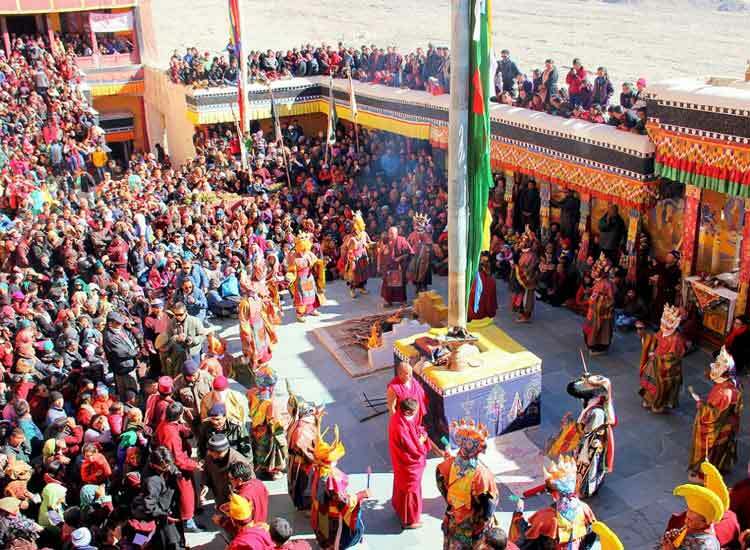 Among the various cultural festivals of Ladakh, Hemis Tsechu occupies a special position. 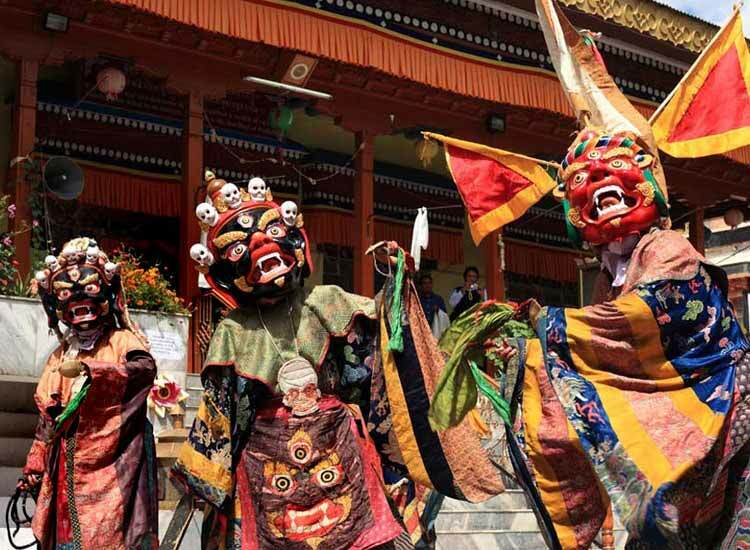 Stretching over a period of two days, it witnesses colorful and thrilling mask dances by the lamas of Hemis monastery that come to an end with a sacrificial offering on the last day. 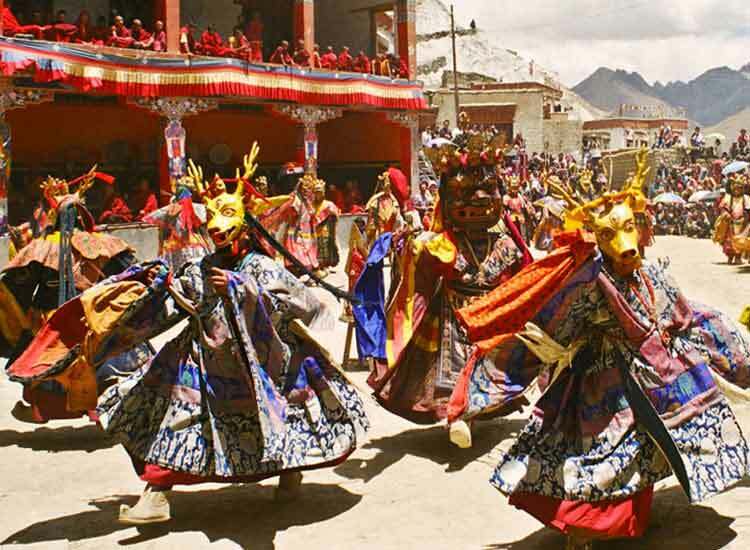 Key attractions: The key attraction, however, are the dances performed by the dances adorned in fine silk costumes and colorful masks, both of which are symbolic of the guardian divinities to which Hemis belongs. What is interesting is the fact that every dance move is relevant in its own way. One of the biggest festival of Ladakh, Ladakh Festival. It attracts performance from all over the region, thus displaying its amazing cultural diversity. The event is marked with a host of cultural programs, impressive dance performances, and magnificent robes everywhere you look. The entire festival spans over a period of two weeks and comes to and end at the polo ground at Leh. This entire period is marked by religious processions which visit several monasteries, even as people participate in the ongoing festivities. Key attractions: They key attractions of this event are masked dances, archery and polo competitions and concert. 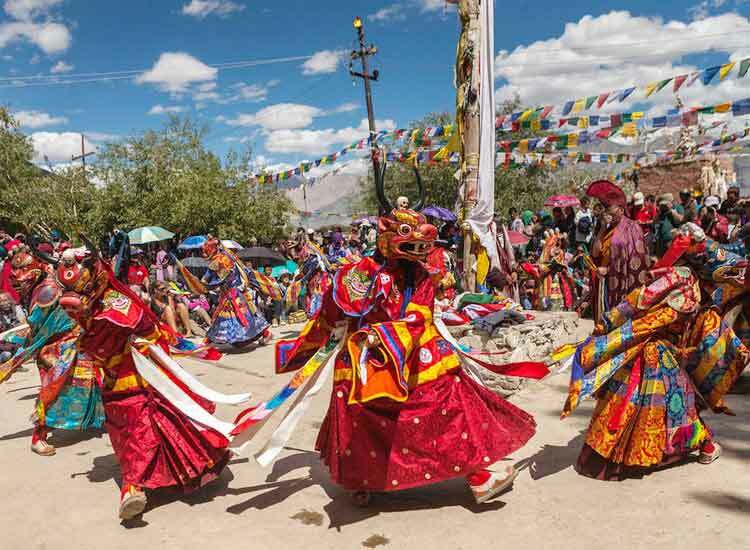 Yuru Kabgyat is one of the most fascinating Buddhist festivals in Ladakh. The Lamayuru Monastery, which wears a mysterious aura, plays host to this festival which spans for a period of two days. On this occasion, they seek to emulate the teachings of Tibetan Buddhism by singing and dancing in the traditional manner. Special emphasis is placed on the teachings of Gautam Buddha during the entire course of this festival. Key attractions: The highlight of this festival is a sacred ritual which involves the demolition of the statue which symbolizes the liberation of the inner demons. 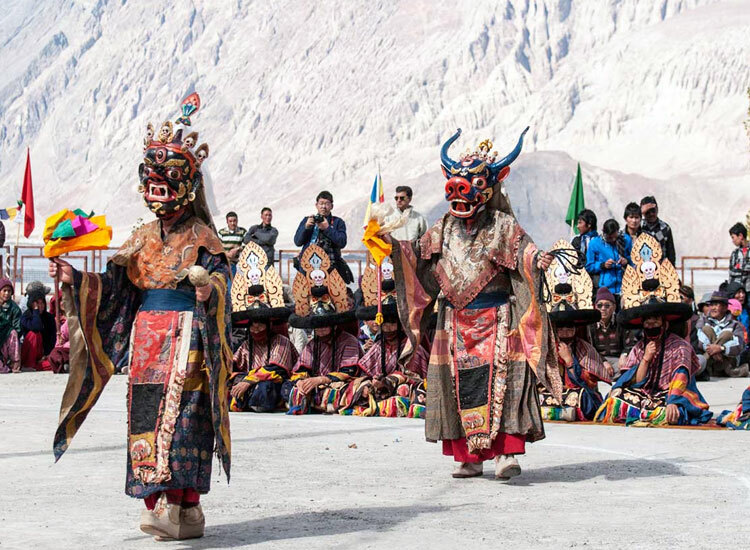 The dance and mask festivals in Ladakh are lively demonstrations of aesthetics and traditions. The emphasis, however, is always on the teachings of Lord Buddha. During this occasion, monks adorned in bright and lively silk costumes perform the sacred mask dance, along with offering prayers. To ensure that the teachings of Buddha are received by everyone present, dramas or “chahams” are performed. Apart from this, followers also perform a pilgrimage to Thangka of Skyabje Gombo, a ritual which holds an important position in this festival. Key attractions: Once here, you should make it a point to check out the fabulous paintings inside the monastery. All bad things ultimately come to an end. This is the spirit which this festival celebrates. Gustor, which means, “sacrificing the 29th date”, is a two day festival that commences with the offerings of charms and chants to the monks residing at the monastery. Key attractions: On the second day of the festival, the famous “Black Hat Dancers” perform a sacred festival, along with a dough cutting ceremony of the sacrificial cake. 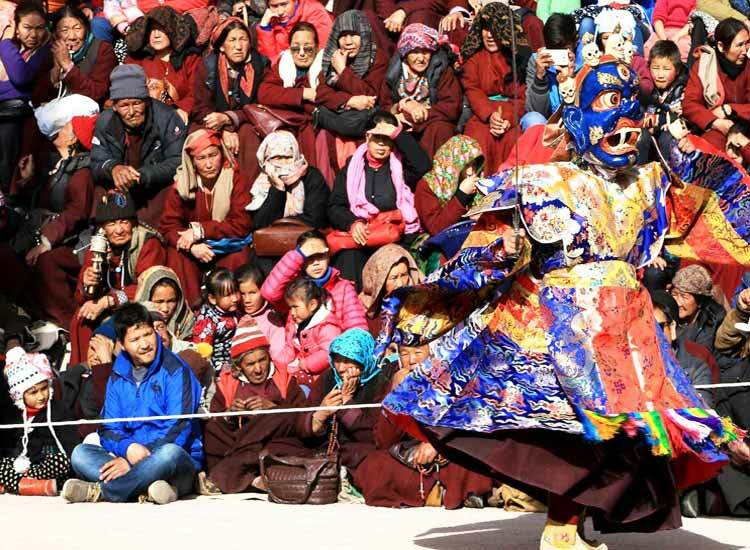 Dosmoche, one of the winter festivals in Ladakh, is celebrated to ensure the safety and well-being of the local people of Ladakh. The celebration of the festival, which is celebrated over a period of two days, was started by the Ladakh royals. On this auspicious day, hundreds of Ladakhis dressed in a fancy disguise perform the sacred dance together. 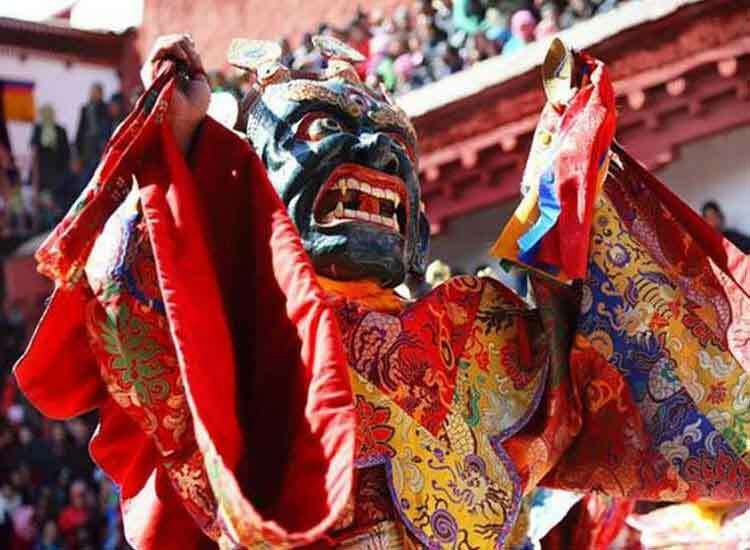 Key attractions: During this festival, lamas belonging to monasteries who are experts in the practice of astrology and tantric practice prepare the Thread Crosses, an offering which is believed to purge away all evil forces. 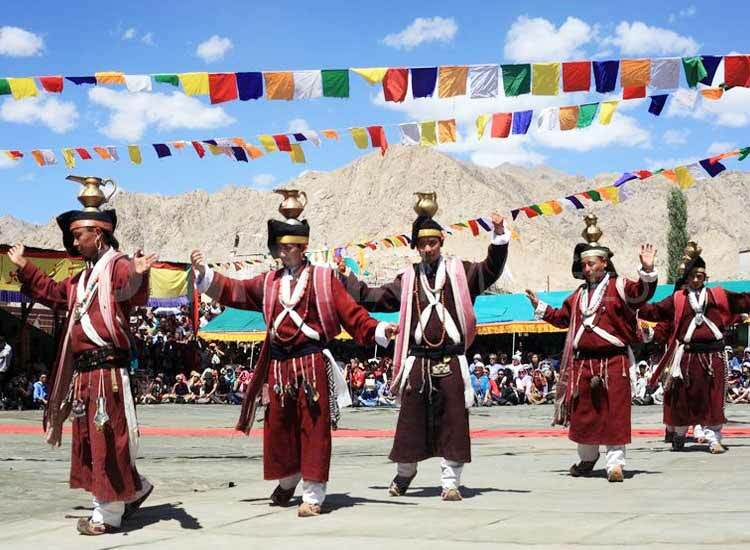 Stretching over a period of two days, Matho Nagrang sees monks dressed in a way so as to resemble various Ladakhi gods and goddesses. The attire consists of silk robes and masks. This event is particularly exciting for the locals as during this time, two oracles return after spending a month in isolation. Mask dancers adorned in special robes also put on a thrilling performance. Key attractions: They key attractions are undoubtedly the return of the oracles after spending a month in meditation. 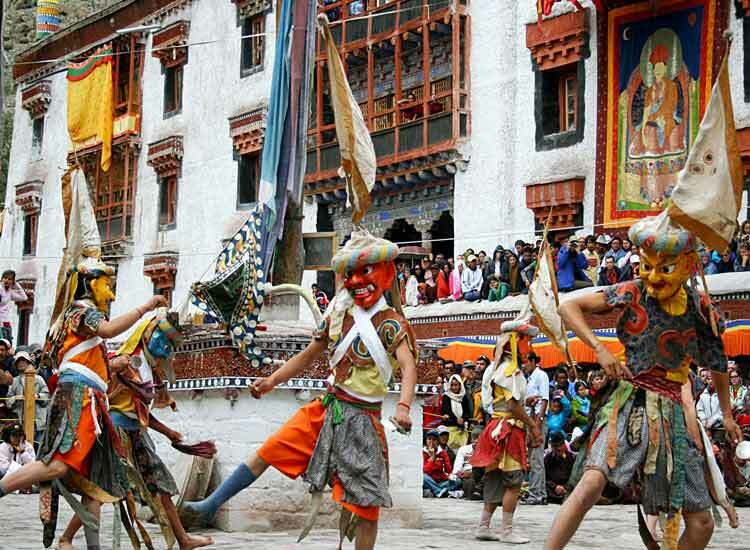 Another of the famous dance and mask festivals of Ladakh is Stok Guru Tsechu. Celebrated for a period of two days at the Stok monastery, this festival commences on the ninth day after the Tibetan New Year. It’s marked by dances, prayers, food and music. What separates the observance of the festival here from the others is that most of the rituals are performed by the common people. Key attractions: The different tradition followed here is also the key attraction. Two commoners, chosen by lamas, are properly cleaned and prepared to receive the spirit of the deities. Masked dances are another attraction. 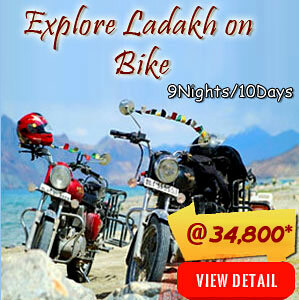 1 comment on "10 Festivals in Ladakh That Celebrate Life in the Valley"
ladakh is awesome place for complete a photoshooting ,campaning and a awesome bike riding and some one complete a dream .